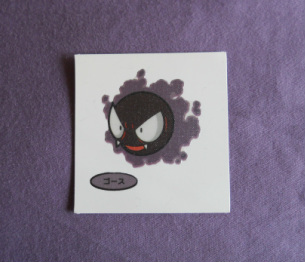 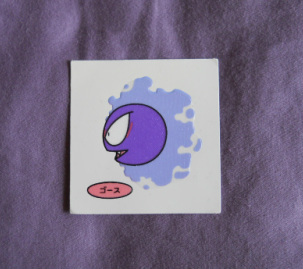 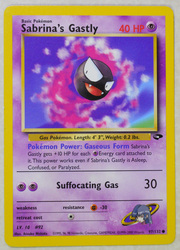 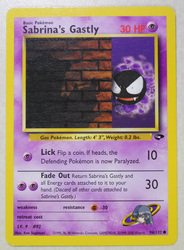 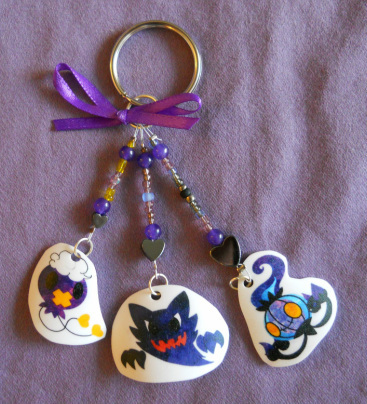 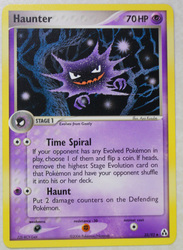 Haunter evolves from Gastly once Gastly reaches level 25. 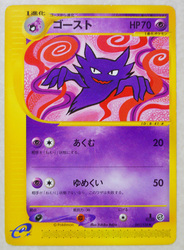 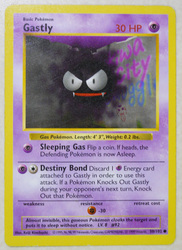 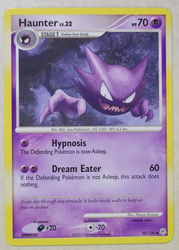 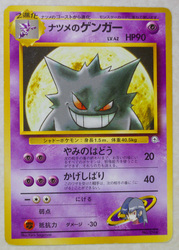 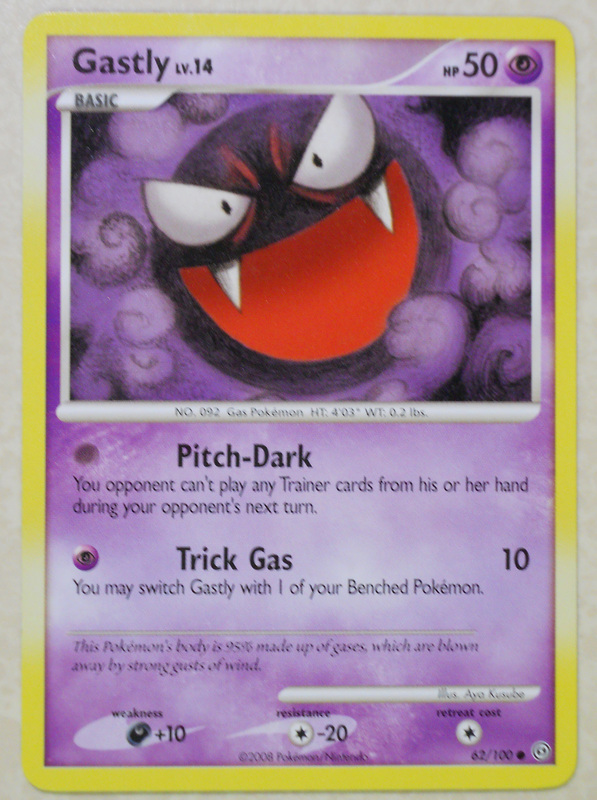 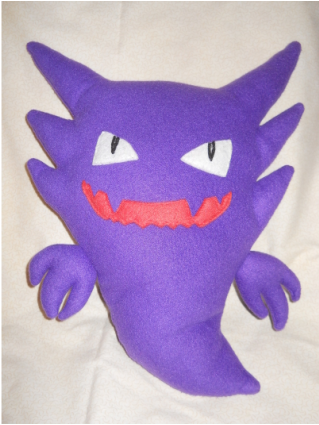 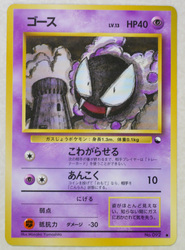 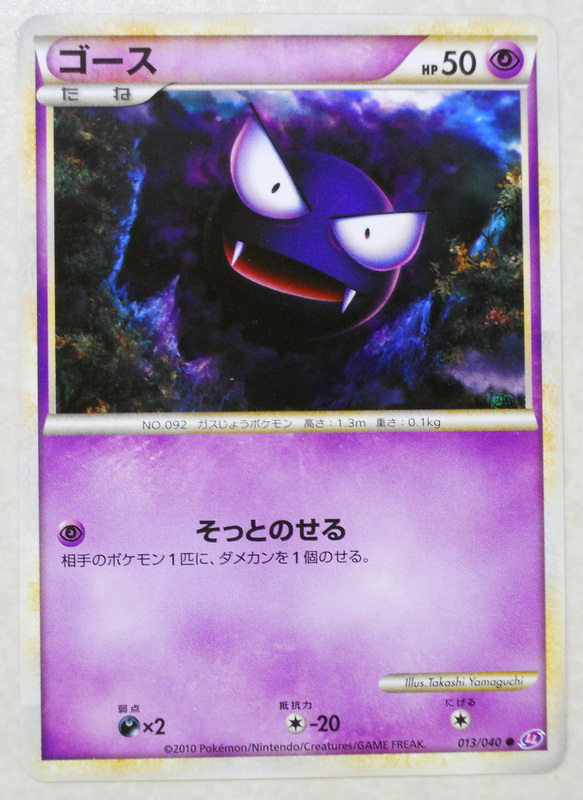 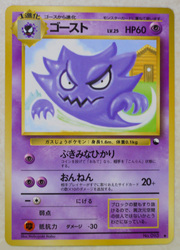 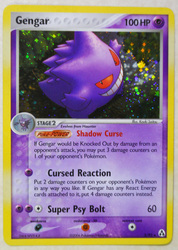 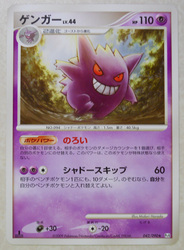 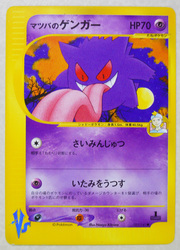 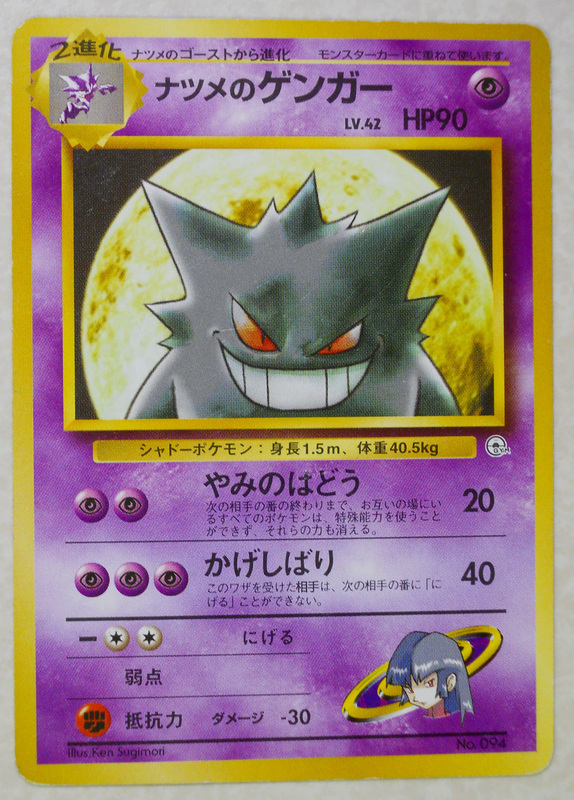 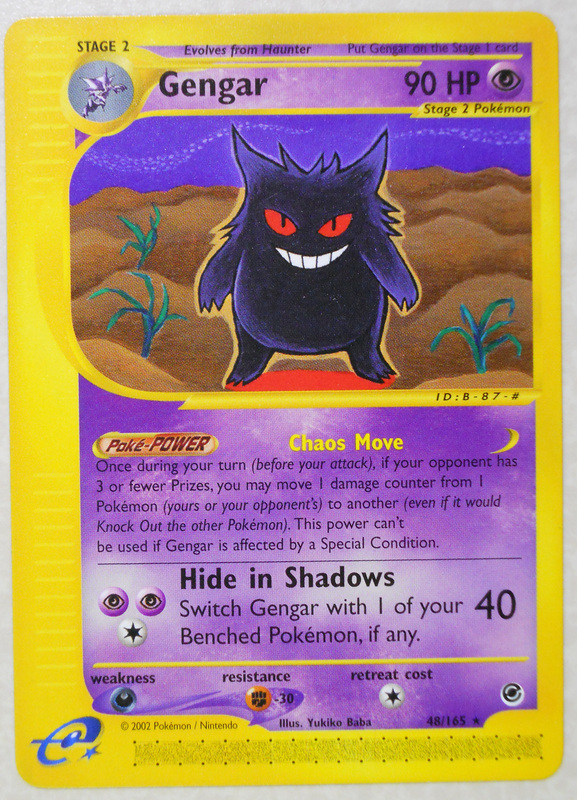 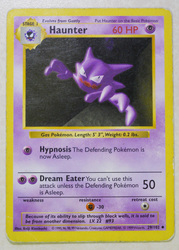 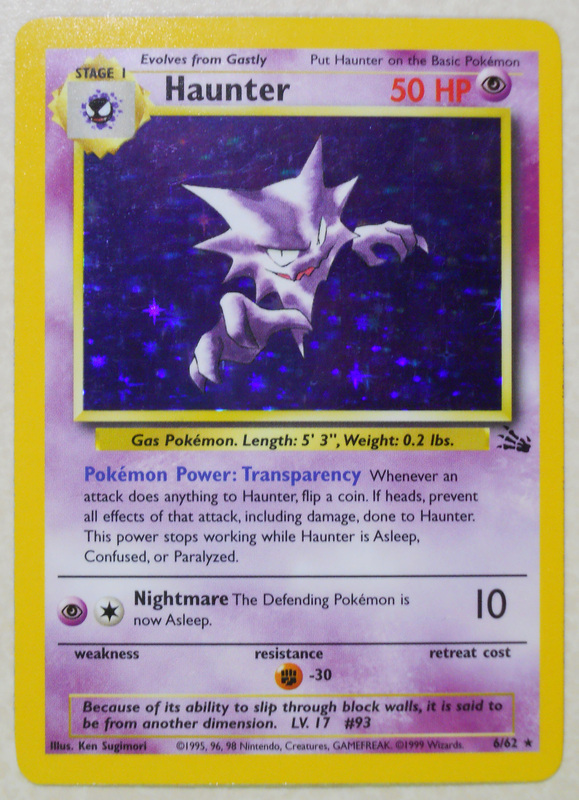 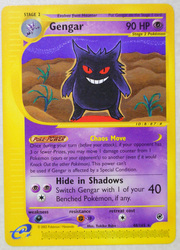 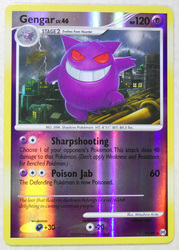 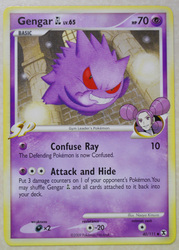 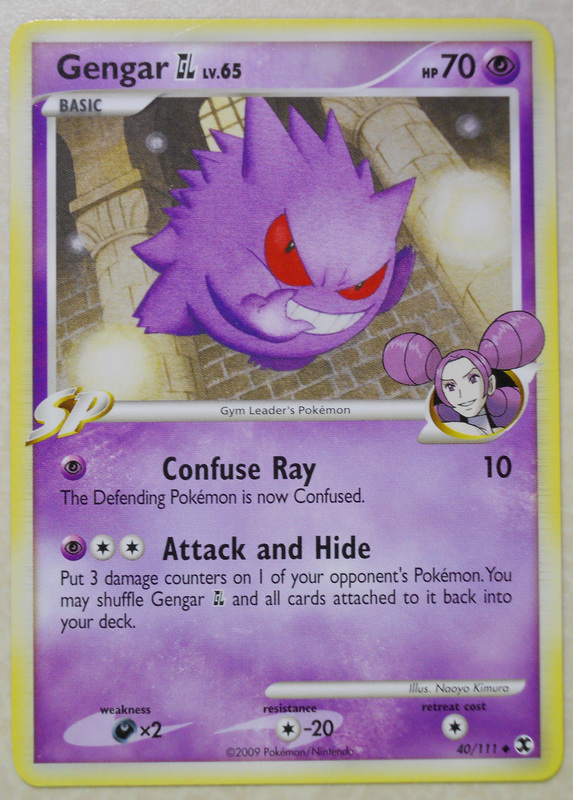 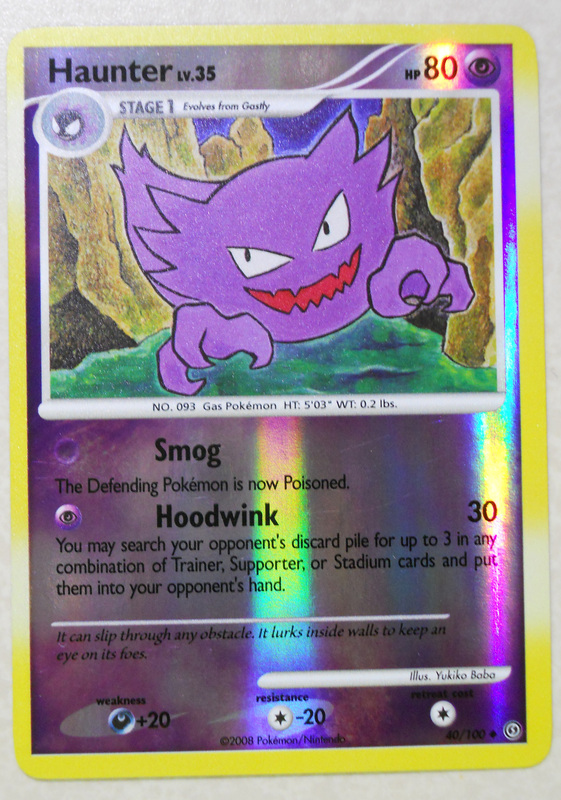 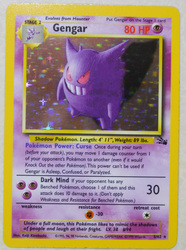 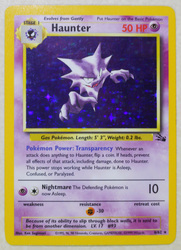 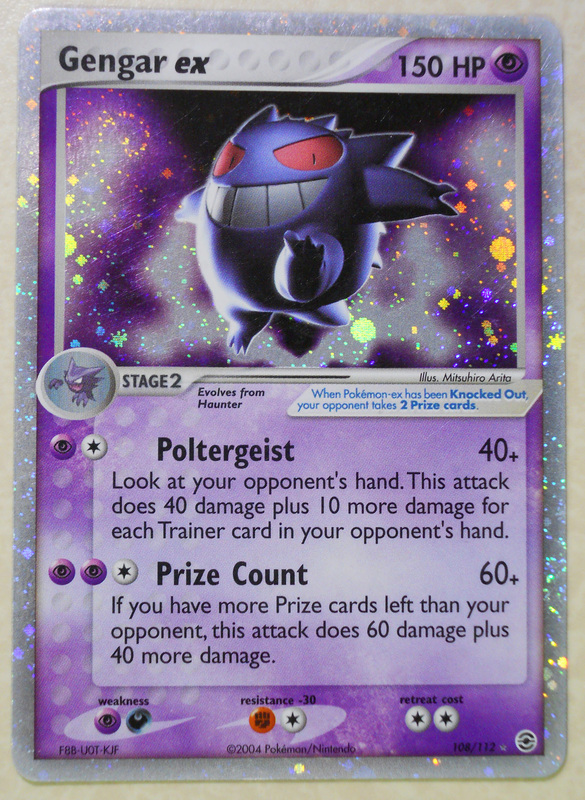 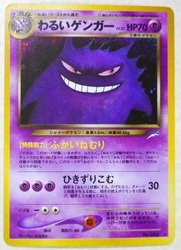 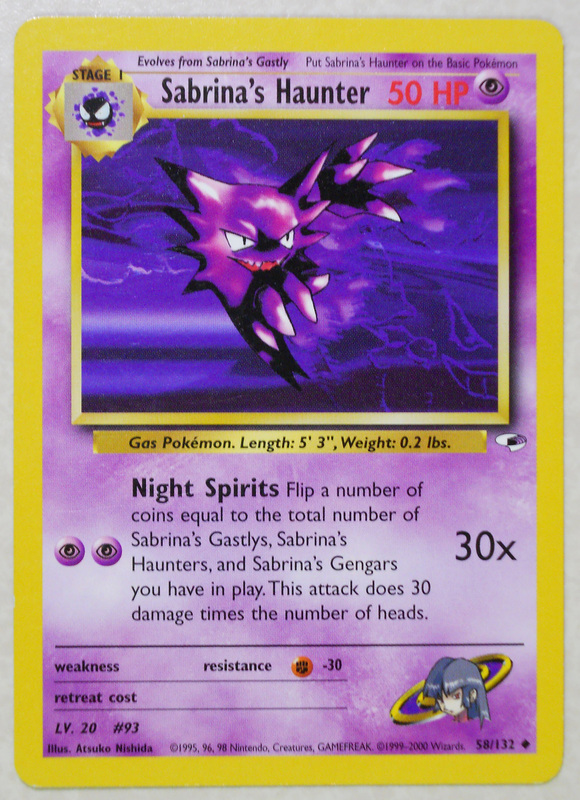 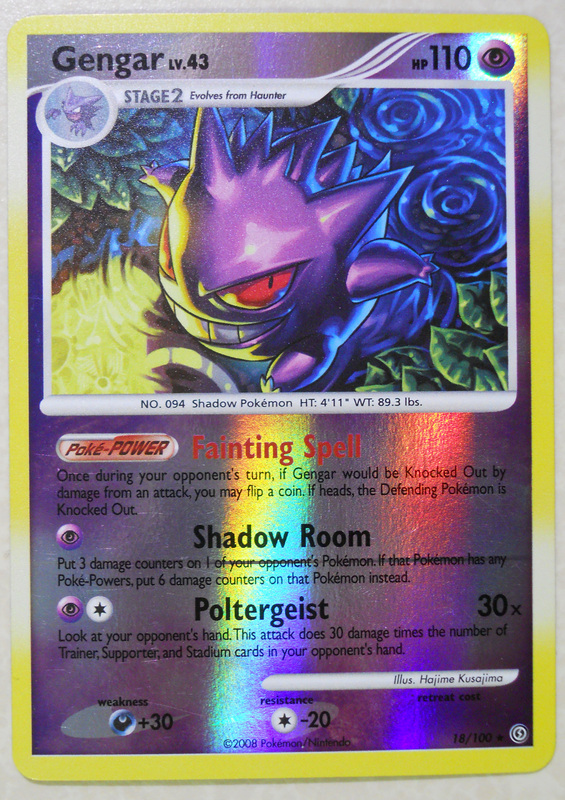 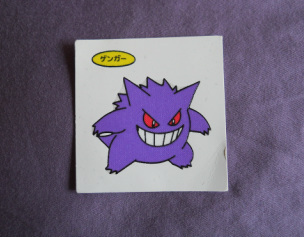 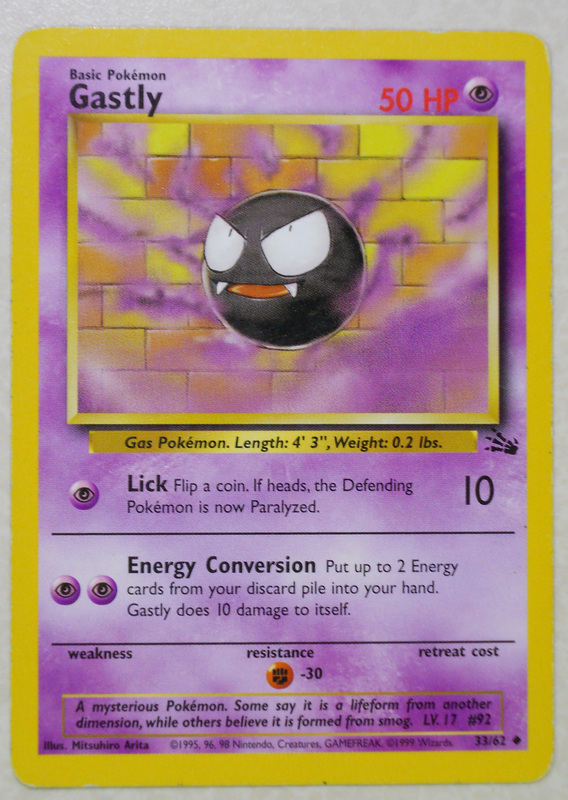 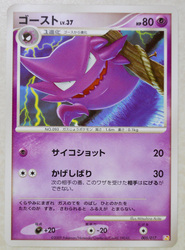 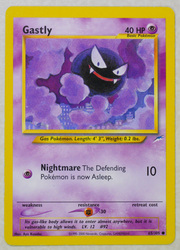 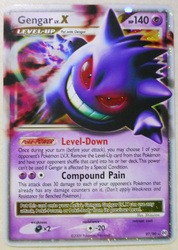 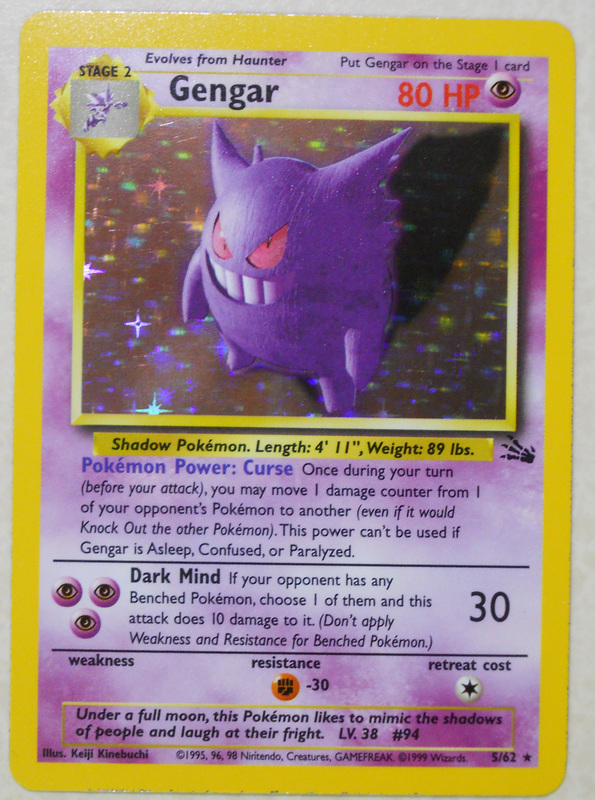 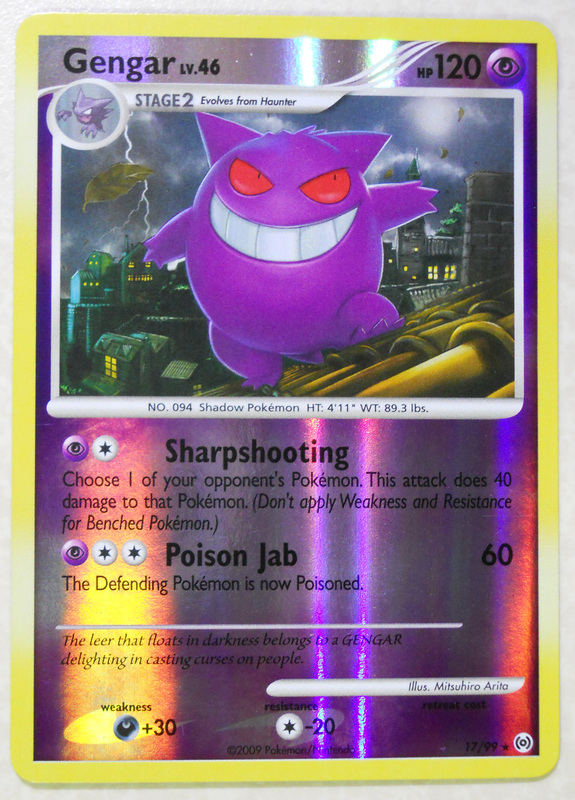 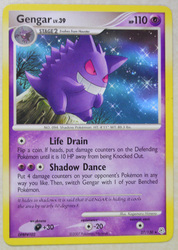 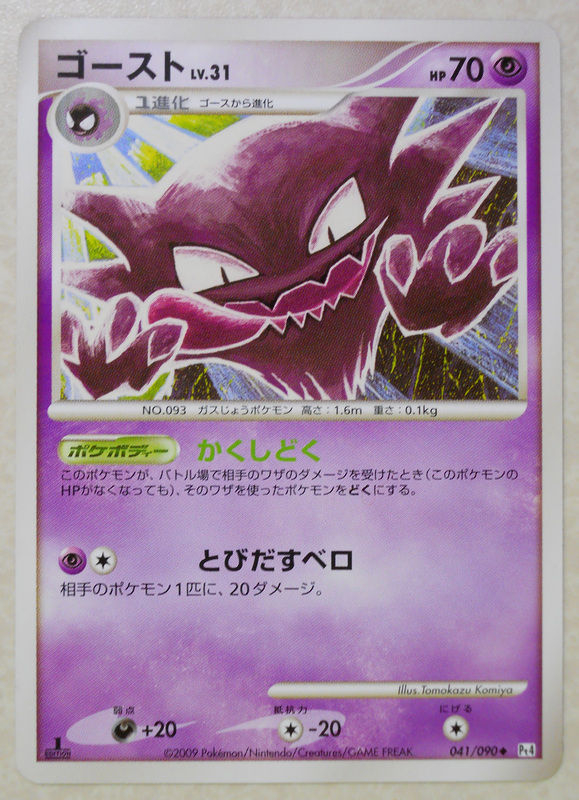 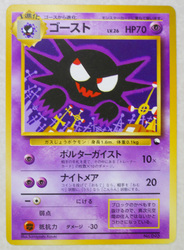 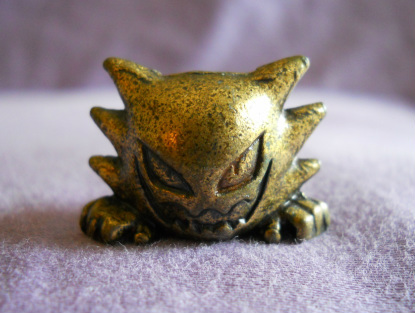 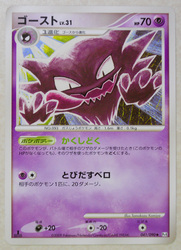 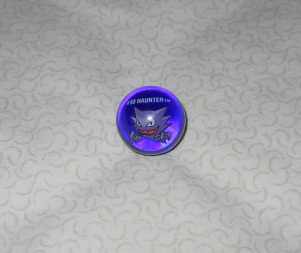 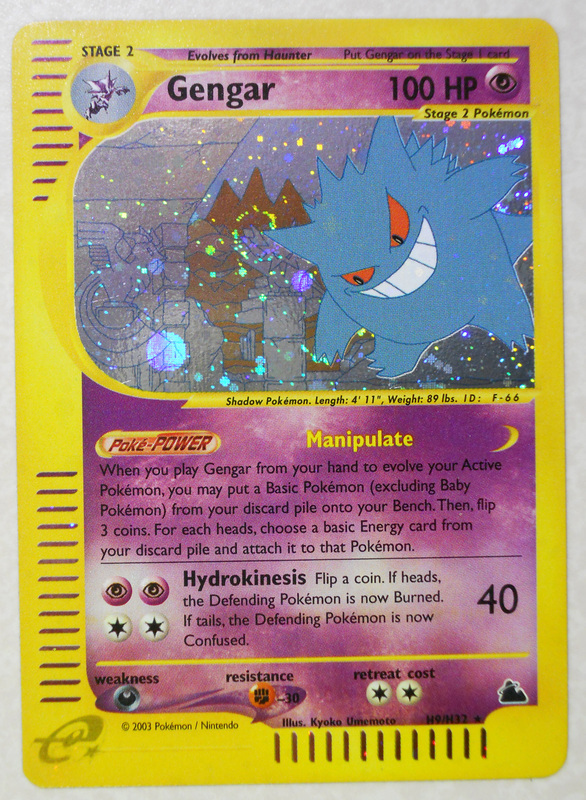 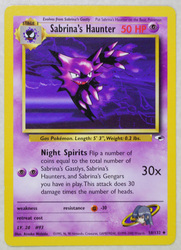 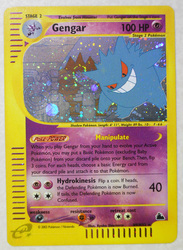 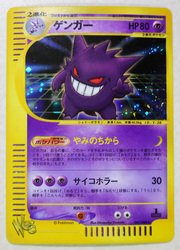 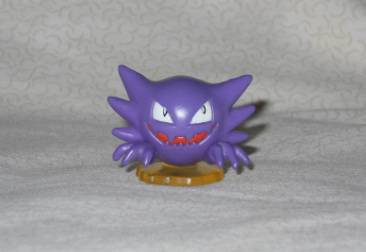 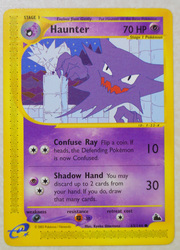 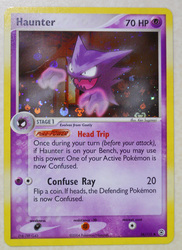 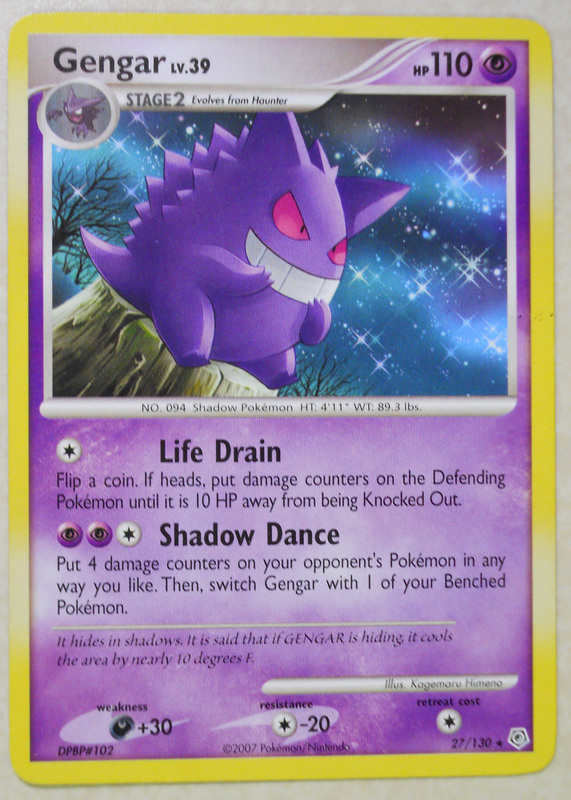 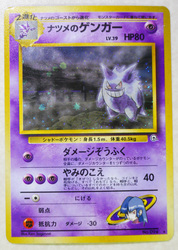 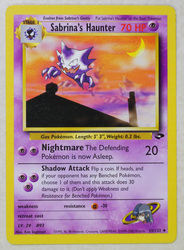 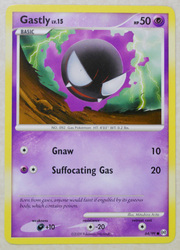 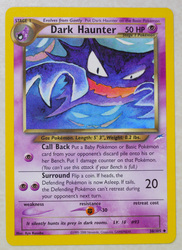 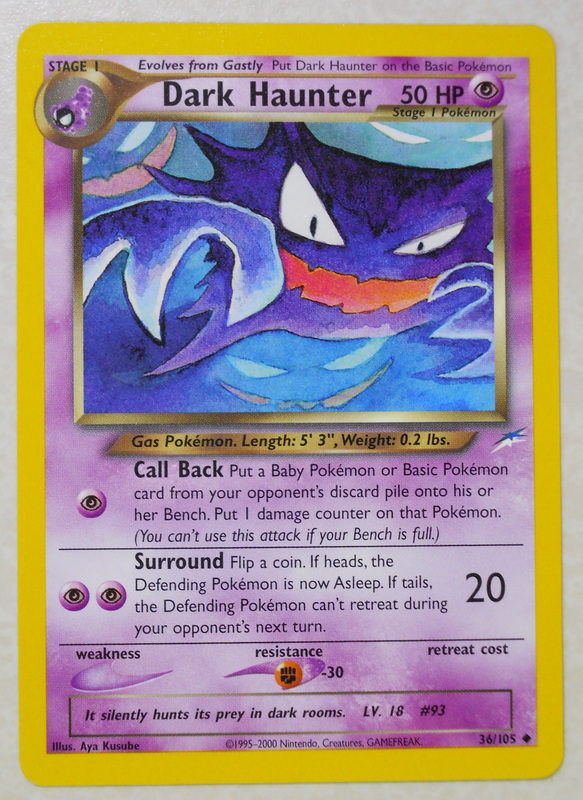 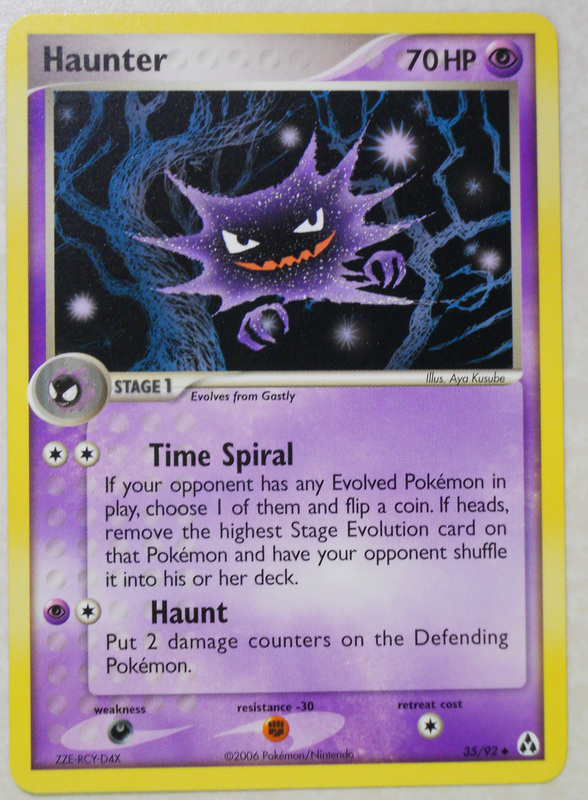 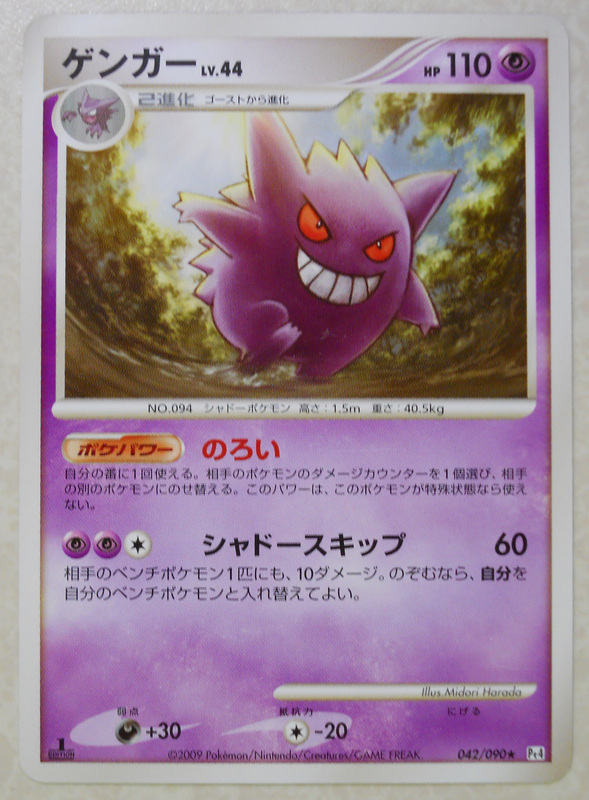 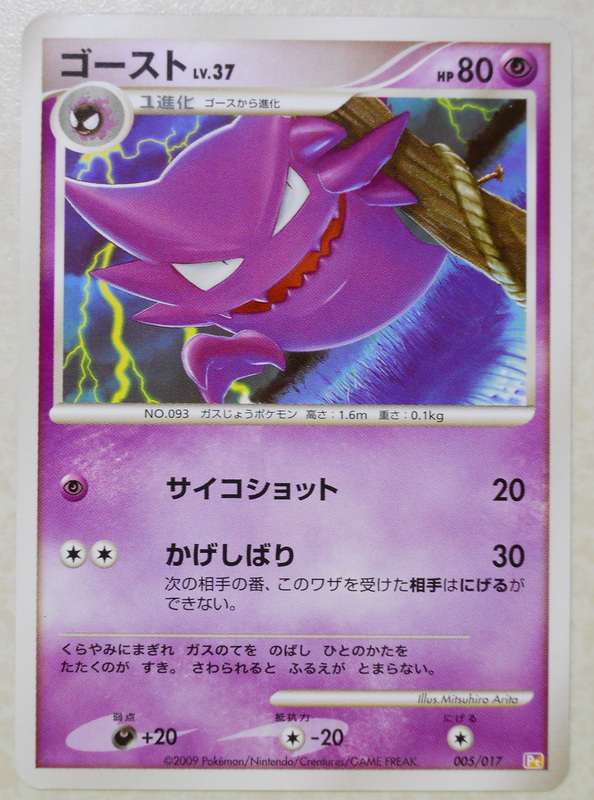 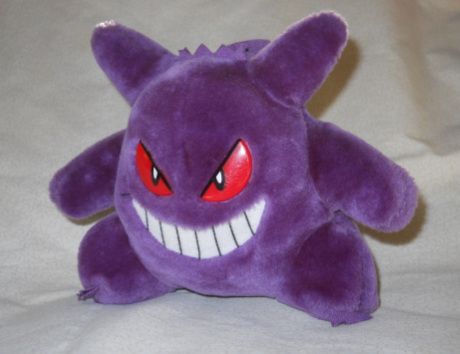 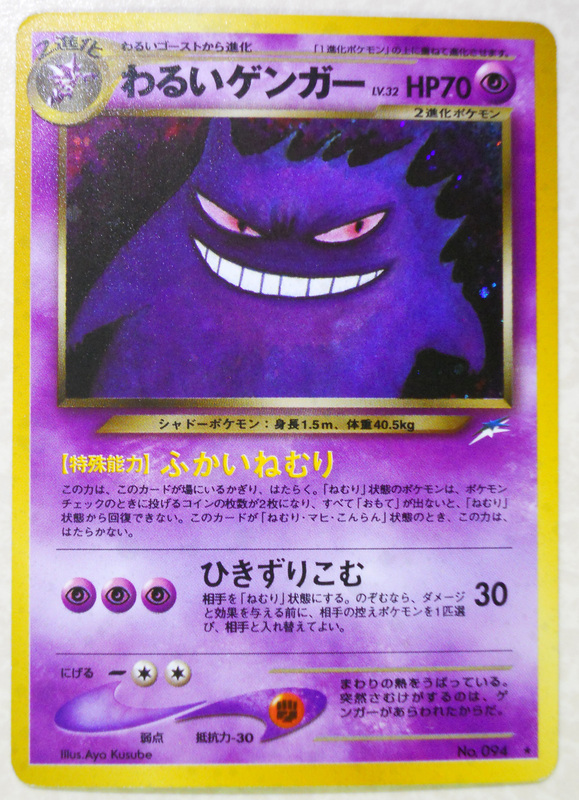 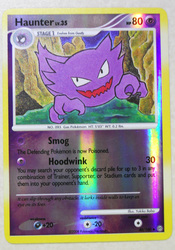 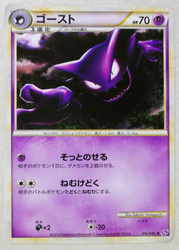 When Haunter is traded to another game, he evolves into Gengar. 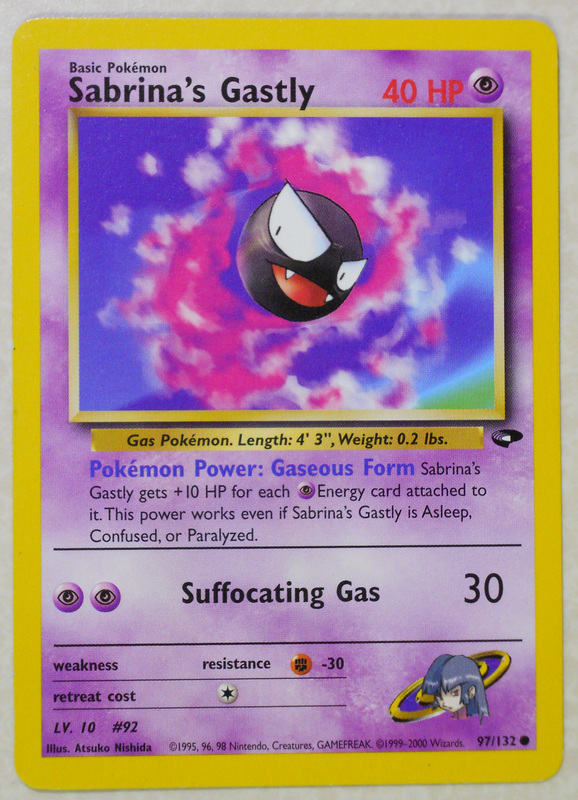 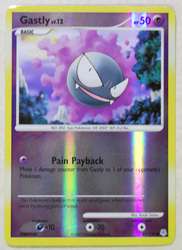 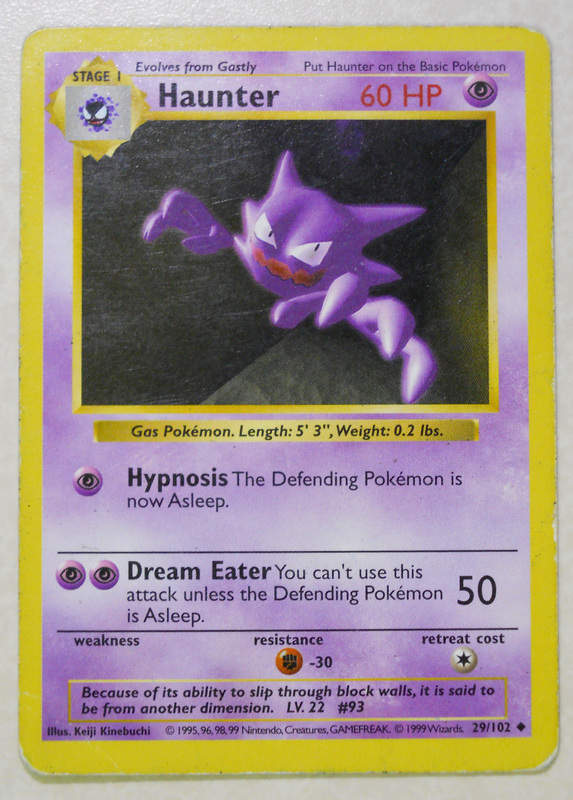 In the first generation games, Psychic-types frequently had the upper hand against these three Pokemon due to their secondary type, Poison, which is weak to Psychic-type moves. 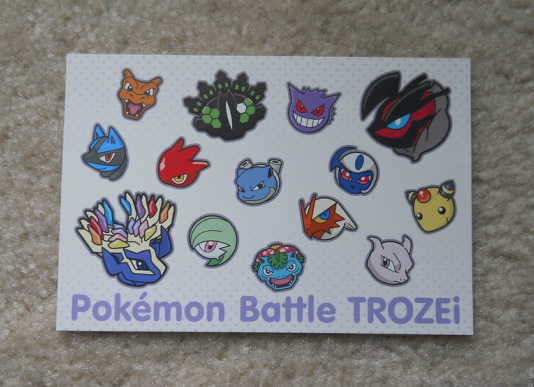 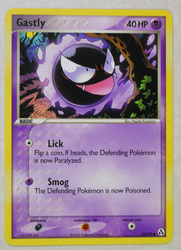 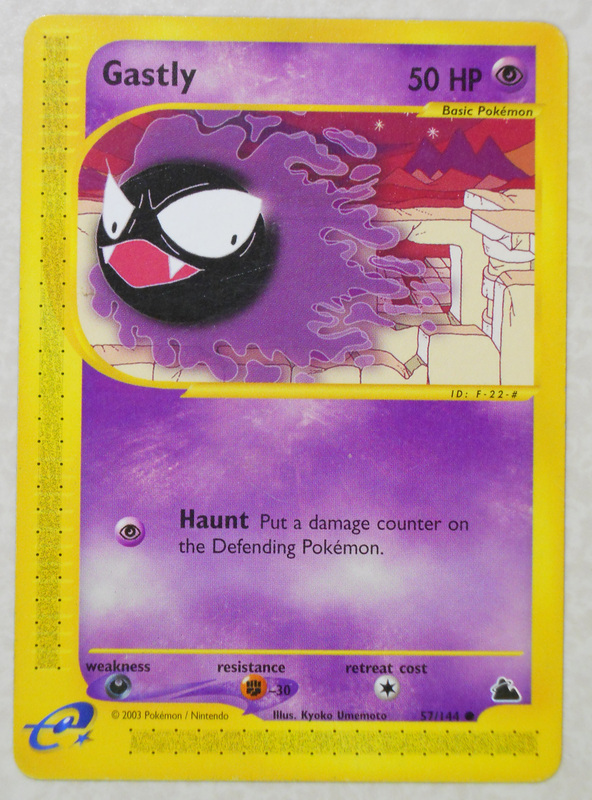 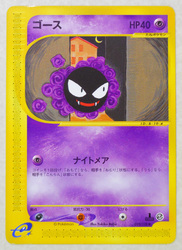 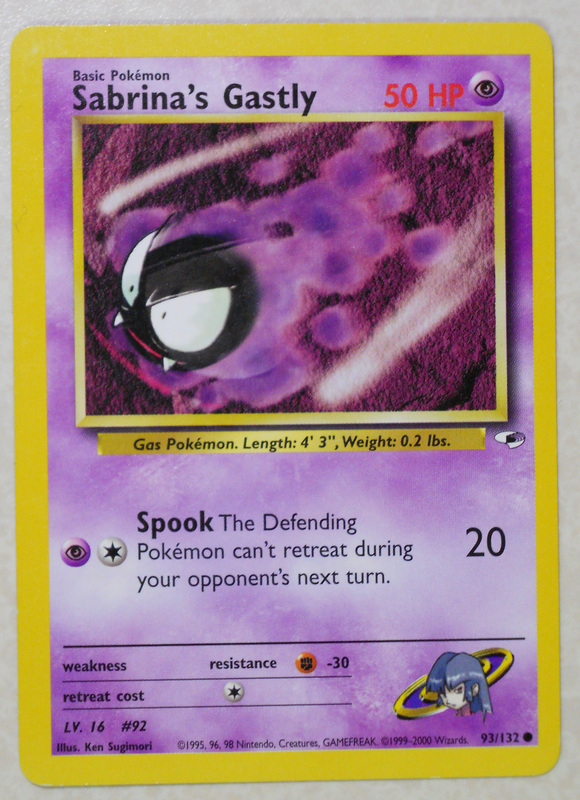 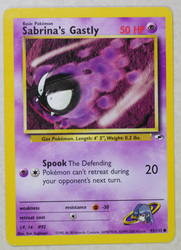 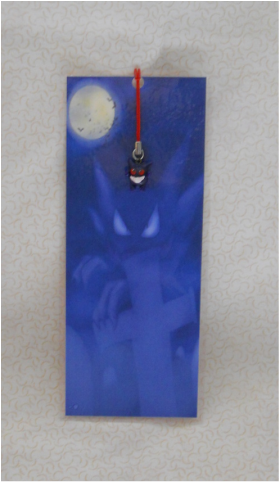 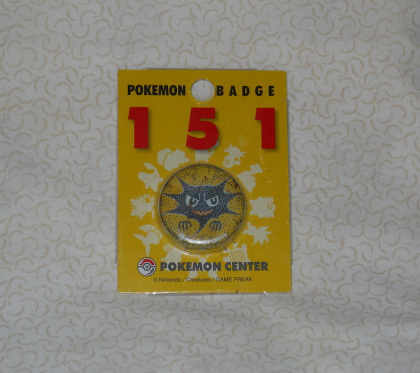 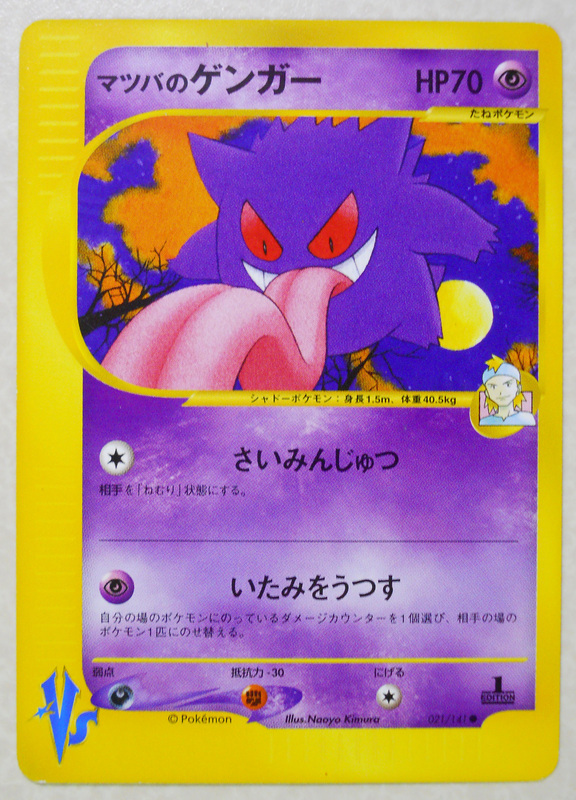 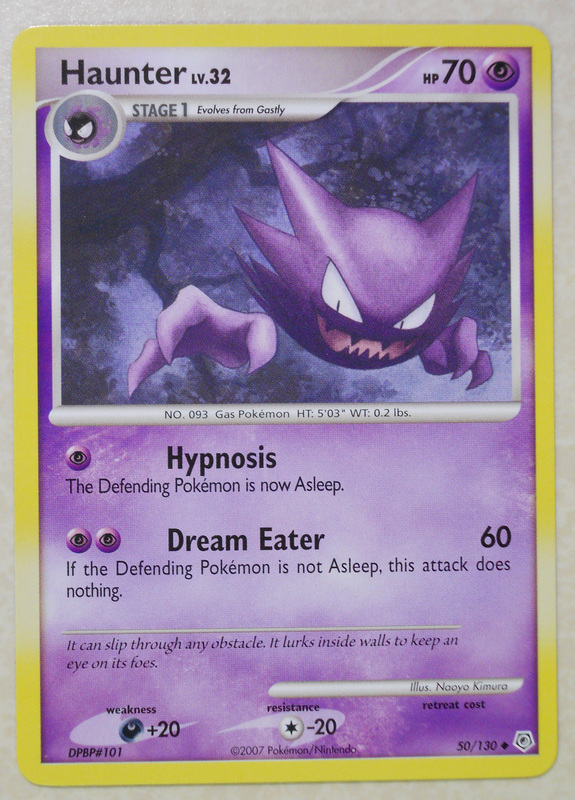 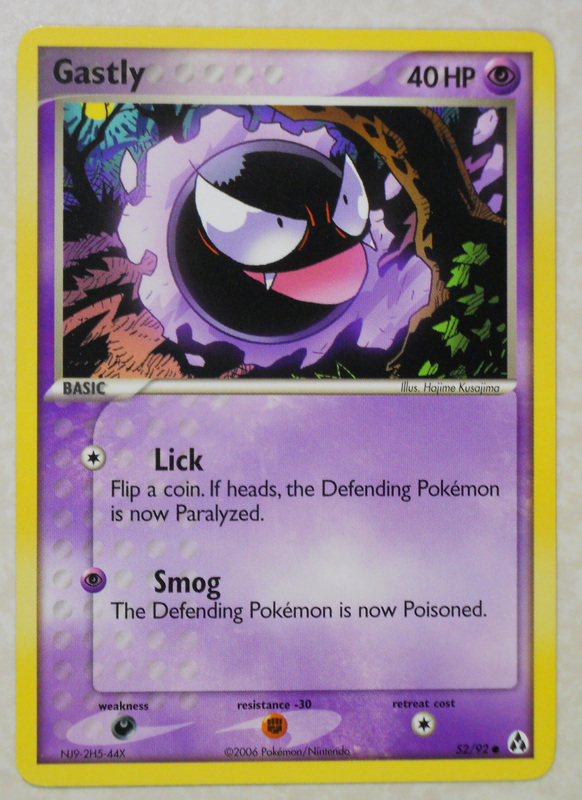 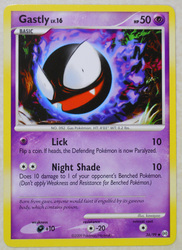 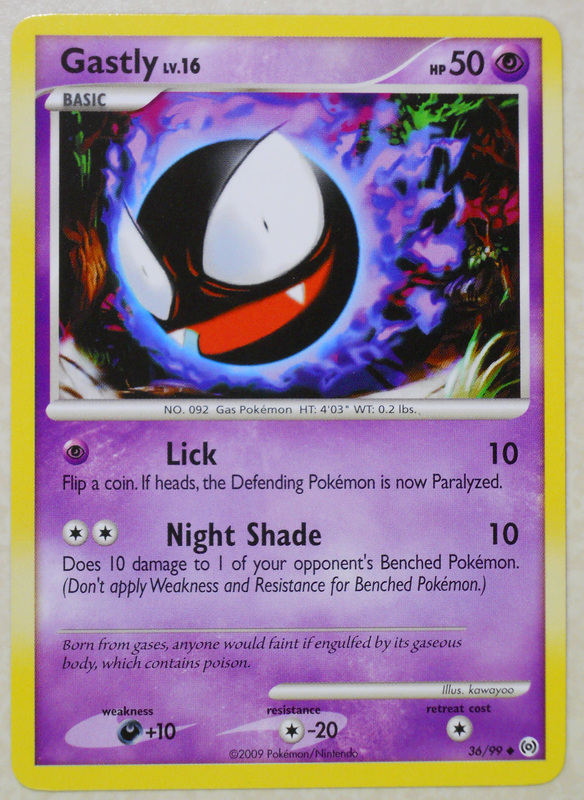 The irony was that Ghost-type moves were "super effective" against Psychic-types, and yet, the two Ghost-type moves that did direct damage were Nightshade (which was level-based, so it could only do a maximum of 100 damage) and Lick (which was so weak that it did not even matter). 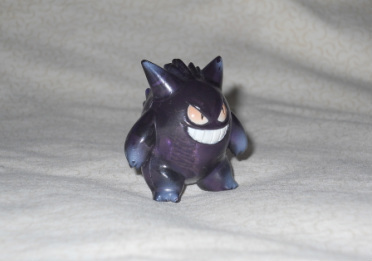 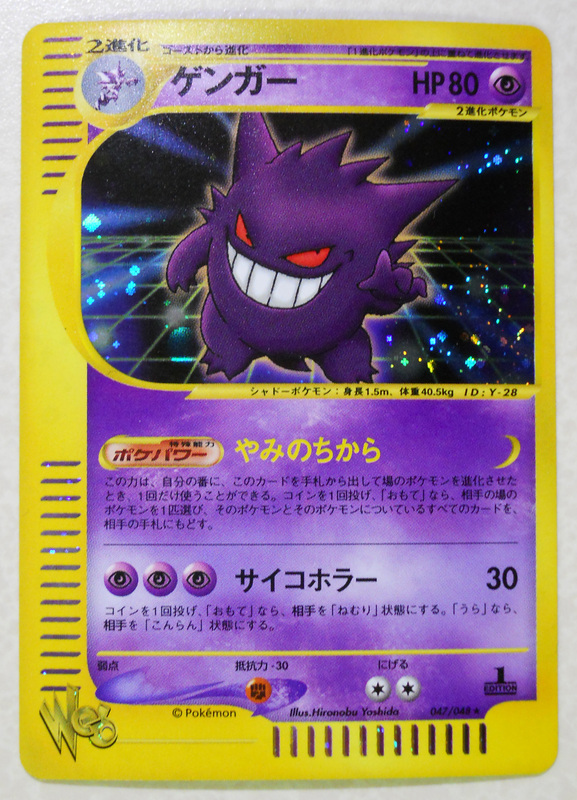 However, now in the fourth generation era, Gengar sees plenty of action in the competitive battling scene, thanks to his extremely wide attack pool, his Levitate ability (nulls all Ground-type moves), and excellent Special Attack and Speed stats. 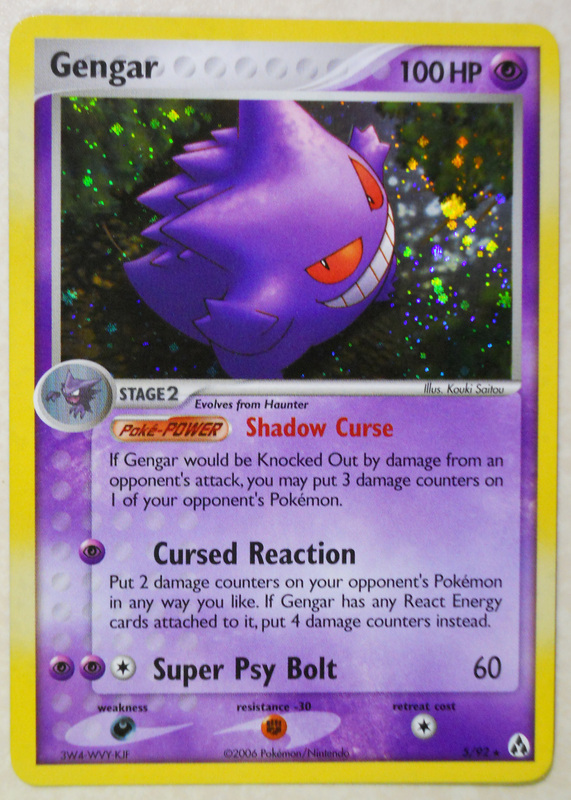 It will be interesting to see if Gengar can maintain this status in the upcoming fifth generation.